Ethan Dozeman has been serving real estate needs in the Grand Rapids metro area since 2002, having helped over 475 satisfied clients. 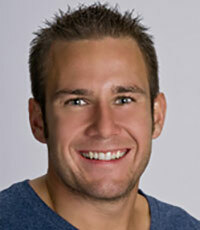 He joined REMAX grand valley in the fall of 2012. Naturally, you will have a level of comfort using and referring Ethan based on his experience, professionalism, and knowledge of the real estate market. Helping you through your home transaction is his goal. Communicating through text, email and phone work well. He looks forward to connecting soon.